1.00 The purpose of this policy is to set out the process for closing the university due to severe weather. v. deadlines for assignments and other submissions are postponed until the same hour on the next business day that the university is open. 3.00 This policy applies to all employees of the University, with the exception of those who provide essential services, as detailed below. 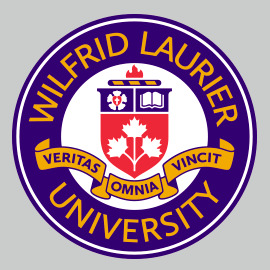 4.01 The university will close because of severe weather when normal operation would pose a significant danger to faculty, staff, and students while on the Waterloo or Brantford campus or would prevent many from safely coming to the campuses or returning to their residences in Kitchener, Waterloo, Brantford and surrounding areas. 4.02 The decision to close the Waterloo campus will be made by the president or designate, the decision to close the Toronto Office will be made by the director of government relations or designate, and the decision to close the Brantford campus will be made by the senior executive officer or designate. The office of the senior executive will notify the president’s office, Conestoga College, Mohawk College, and Nipissing University whenever the Brantford campus closes. Buildings in Kitchener will close whenever the Waterloo campus closes. 4.03 The University may close for the morning, afternoon, or evening, or for the entire day. In each case, the closure announcement will communicate the reopening time, which may be revised in the event of ongoing severe weather. Communication, Public Affairs, and Marketing (CPAM) will communicate the university’s decision based on established protocol, including local radio stations, Twitter, and the web. A campus closing notice will be posted on the university’s homepage and there will be an automated message on the university’s main telephone numbers by 6:30 a.m. for a morning closing, by 10 a.m. for an afternoon closing, and by 4 p.m. for an evening closing. The closure announcement will communicate the reopening time. Other essential services may be designated by the president or delegate. The managers responsible for these services will designate staff to provide essential services and will ensure that staff are available to provide essential services. When the University does not close in inclement weather, faculty, staff and students are reminded that they are responsible for determining when weather conditions make their travel unsafe and should consider public transportation because it may be the safest option. If the university closes, employees scheduled to work during periods affected by closure shall be paid for those days or partial days that the university is closed. A staff member who is on vacation, sick leave or unpaid leave, or who is not scheduled to work on a day when the university is closed, is not entitled to equivalent time off later.